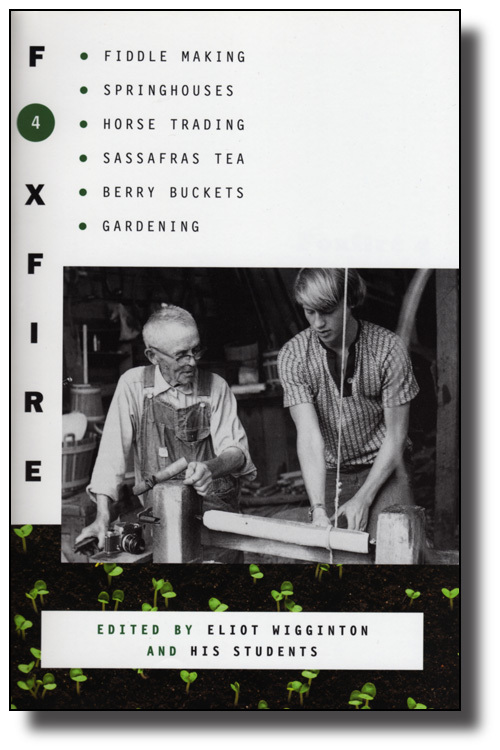 That wonderful series of books – the Foxfire books, which recount “affairs of plain living” as lived by the backwoods people of Appalachia – are full of not just oldtimer’s skills but wonderful insights into life itself. Recently I dipped into Foxfire 4, mainly because I wanted to see what this volume had to share on the topic of horse trading. I loved the old Ben Green books on horse trading, and I figured this book would have material equally diverting. It did. What I wasn’t expecting was the philosophical views. But they were memorable, and so I share a couple. I had always sensed that horse traders had bad reputations, but I found out they’re just like anyone else: Some are more honest than others. One horse trader would take a horse with a lame leg, give it a shot of morphine, and trade it; another horse trader would cure the horse of lameness, then trade it. As I talked to many different traders, I found trading wasn’t always as much of a living as it was an obsession. Once they traded for the first time, they couldn’t stop. Some of the horse traders started trading when they were children and kept it going until they were fifty or sixty years old. The old ways of horse trading are just about gone…. Now they trade primarily saddle horses instead of work horses and mules.